Join us as we taste our way through 4 English villages: Bath, Bristol, Lacock and Shepton Mallet. 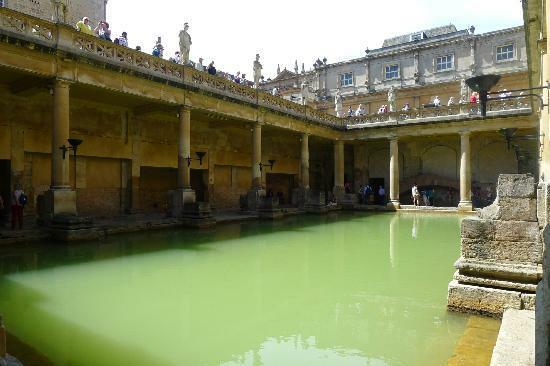 During this 36 hours tour we will be spoiled by a 10 course meal & wine tasting at Bath’s best Italian restaurant, sample our way around the historic city of Bath, tour the Pride and Prejudice filmset, Lacock Village and be treated to an Olive Oil tasting, by the Dragon Den’s star, The Olive Oil Man. Plus we’ll sleep it off in luxury accommodation. -A 10am booking coffee in the Baths on Sunday – they don’t usually allow bookings. -Italian Food and Wine matching night at Bath best restaurant, Sotti, Sotti. 677 reviewers give it 5* on trip advisor, and it’s voted #1 of 27 restaurants in Bath!! -An olive oil tasting with the Dragon Den’s star, The Olive Oil Man. And oil infused local tapas freshly prepared by the Queen of Balsamic vinegar. 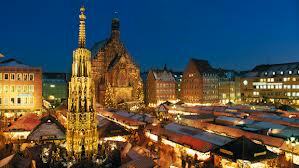 -A fun group of taste adventure seeking travellers to share the experience with! TO BOOK: Please email info@tastour.co.uk to request your booking form. As the event is less than 60 days, full payment will be required to book. … for me it’s all about creating the best experience at reasonable price. 8:30 am Meet in West London, on the Piccadilly line (we’re heading west, so no point in meeting in central London). These are not old photos, it is how the town actually looks!! Regarded as the social heart of Bath for more than two centuries, the Pump Room is a striking neo-classical salon where hot Spa water is drawn for drinking. 4:45. An Olive Oil tasting in Shepton Mallet, with the Dragon Den’s star, The Olive Oil Man. Plus an amazing 6 course dinner, showing you how to use the oils. the highlight will be the 100 year old Balsamic vinegar. The tasting and 6 course dinner, with wine will only be £35! 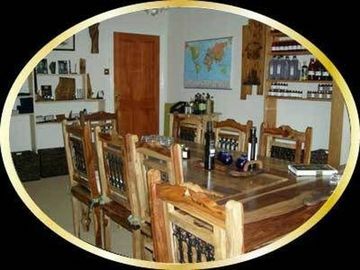 Michael North is a leading authority on seasonal fresh extra virgin Olive Oil and gourmet Balsamic Vinegars. He is an acknowledged expert Olive Oil Judge and taster with over 40 years experience in quality lifestyle, food and drink. He rose to prominence in 2009 after appearing on BBC TV Dragons’ Den to champion the benefits of seasonal fresh extra virgin Olive Oil. He has appeared on numerous TV and radio shows including UK TV Great Food Live, UK TVFood Market Kitchen, Ready Steady Cook, BBC TV Dragons’ Den, Dragons’ on Tour and BBCRadio. Michael founded the UK’s first Seasonal Fresh Olive Oil Club in to help discerning food enthusiasts gain privileged access to “heavenly class” extra virgin Olive Oil right at its peak of perfection, and the Club boasts members as far away as New York, Brisbane and the Bahamas. £40 single supplement, and £50 Large Single, Double bed = same price based on double occupancy. Return transport from London to Bath. Transport for 48 hours to Lacock Village, to Shepton Mallet and into centre city bath. tour of Bristol, Exclusive booking of the Pump Room. a fun social group to enjoy. Booking fee & insurance (in case of accidents) during the trip. We have a ‘experienced’ meetup member driving the minibus, instead of a chaffered minibus which would cost around an extra £70 per person. I’m very pleased with the quality of the hotel (There’s some real 1960’s dumps out there charging £150-200 per night!) We are in the center of Bristol, 20 minutes from Bath. Hotels in Bath are £200+ and the general feeling of the group was they’d rather spend less on the bed and more on the food and shopping. And I like the idea of people being able to sight see during the down time at the hotel. 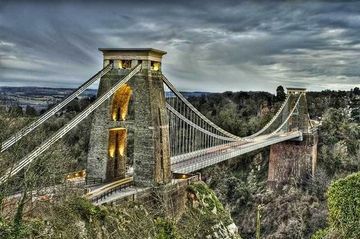 There will only be a few hours of free time in Bristol, but it should be enough to walk to the suspension bridge or a charming village or to museum/shopping district. *This is one of the few hotels with 11 rooms available in this price range within 40 miles of Bath. Onsite: Bar, Restaurant, Swimming Pool and exercise room, very reasonably priced spa treatments. It’s modern, clean and has great reviews online. Here’s to a wild, and crazy night in Bath! This entry was posted in Events on 6 October, 2012 by adminfw.